In 2017, the City of Stockton received grant funding to develop a Greater Downtown Active Transportation Plan. Stockton is a regional employment hub, particularly downtown, but only a small percentage of Stockton residents choose to walk or bike as part of their commute. As downtown continues to grow, residents and community members are asking for transportation options other than driving. 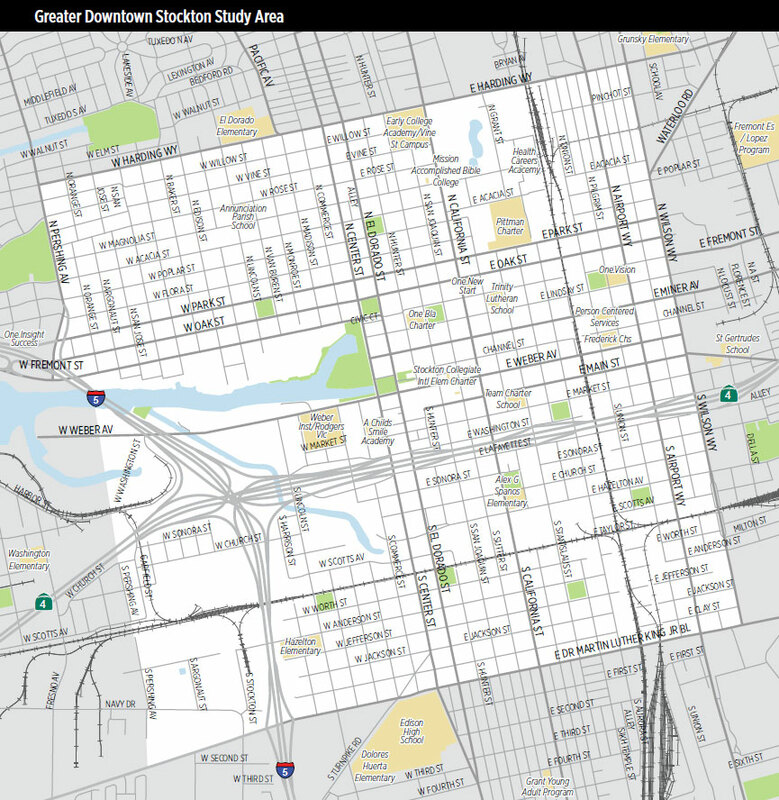 The Active Transportation Plan will identify and recommend future bicycle and pedestrian facility projects in the City of Stockton’s Greater Downtown. Pop-up workshops also gathered experiences on walking and biking in downtown Stockton and discussed improvements to bicycle and pedestrian facilities. initial analysis of active transportation in Stockton’s downtown grid. discuss community outreach e.g., how the community can be involved and how to develop partnerships with community-based organizations throughout this process. This stakeholder and community input will be considered, alongside the project development team’s technical analysis and industry best practices, to develop a priority list of active transportation projects in the Active Transportation Plan. Sign up for project email updates. Below is an overview of the project’s timeline. Please note: Timeframe for each outreach opportunity is subject to change; dates are tentative.